This is the last of three lessons about Noah. You can view the first lesson in the series here and the second lesson here. 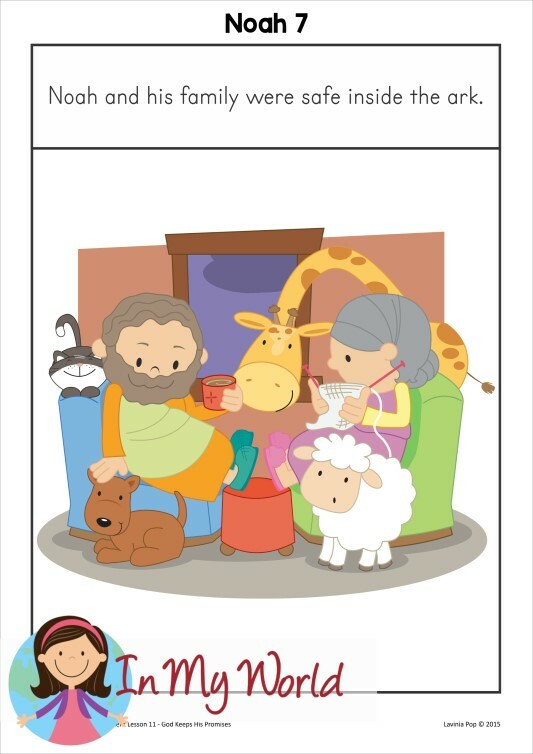 The aim of this third lesson was to show our kiddos that God can be trusted to keep His promises! 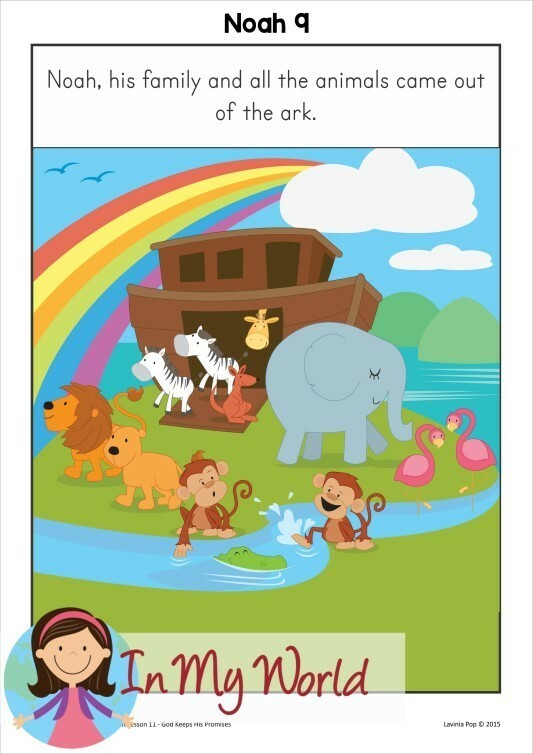 Last week, we saw how Noah and his family got ready to board the ark and how God was involved in that process. 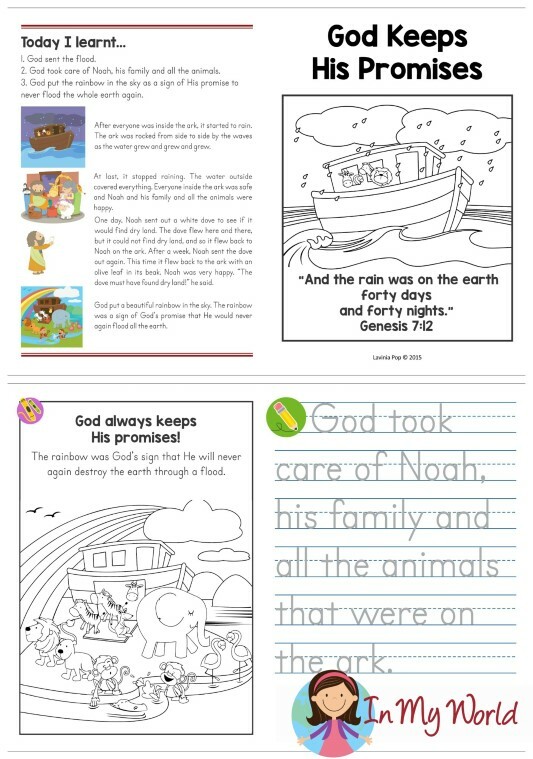 This week, we started by taking talking about about Noah, his family and all the animals that had boarded the ark. God had just closed the door to the ark behind them and they were waiting to see what would happen. Would it start to rain, just as God had said? Suddenly, they heard a great roar of thunder and lightning flashed across the sky and it started to rain. And it rained and rained and rained. We were curious to see what Mr and Mrs. Noah were doing inside the ark. Were they scared by the thunder and lighting? Nope! They did not look one but worried or scared. In fact, they looked quite happy; God had kept them safe from the coming waters and they knew God would continue to be with them. They had nothing to fear because they knew God was with them. We then went on to talk about the rain stopping and how Noah became excited that they would soon be able to get off the ark. Noah decided to send a dove to look for dry land. I printed the dove pictured below, attached it to an icy-pole / popsicle stick and demonstrates the its flight in search of dry land. 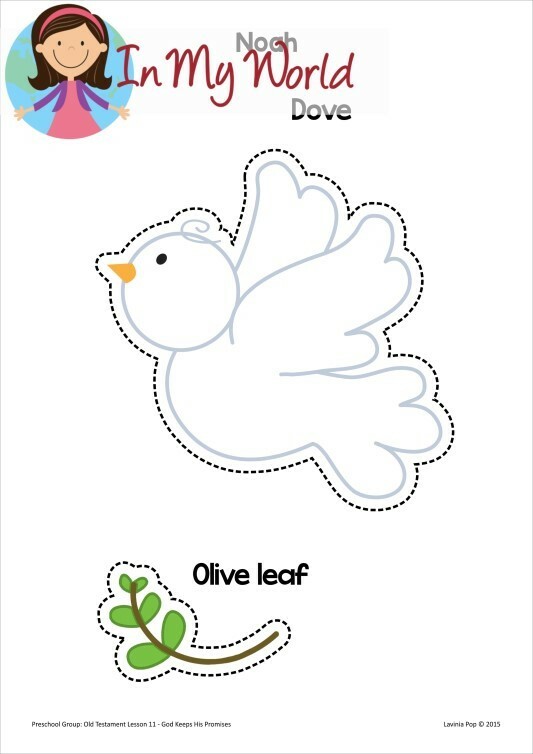 I asked some kiddos to help the dove fly all around the classroom in search of some land. All it found was a small little olive tree and it broke a leaf off from it, then flew with the leaf back to Noah, who was waiting on the ark. Noah knew that it wouldn’t be long until the ground would be dry enough for them. So, some days later, Noah sent the dove out again, and this time, it didn’t return; Noah knew this meant that he had found dry land! It was time to get off the boat and everyone was so excited! Noah and his family were thankful that God had kept them safe and Noah built an altar and praised God. We explained to our little dears what an altar looked like and that it was a way to say “thank you” to God. God was pleased with Noah’s “thank you” altar and God promised Noah that He would never send a flood to cover the whole earth ever again. Then God placed a beautiful rainbow in the sky to remind Noah and all the people who would be born afterwards of God’s great promise. God kept his promise to Noah and we can trust that He will keep any promise He makes to us. God keeps His promises. Always! To remind our little dears that we can trust God to keep His promises, we made a rainbow craft. We cut up coloured paper into small squares and used cotton wool for the clouds. And at the end of it all, we gave them a take-home page to remind them of the story. 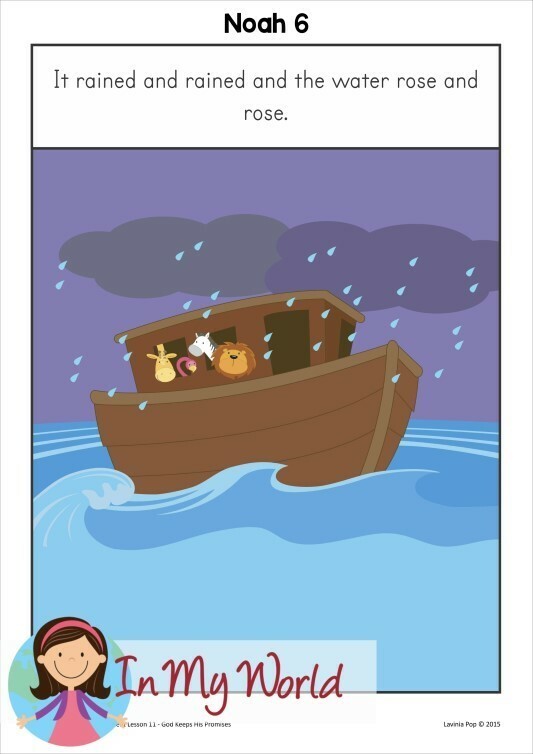 Please click here to download the story aids, craft and take home book in English. Please click here to download everything in Romanian.